At TSS Pro Sealants, we can meet all your sealing needs. Sealants are used to protect the materials used around your home from water, air drafts, and pests. Almost any type of material can be sealed, from brick, tile, stone, and paving. When you complete a home improvement project, you want it to last. To make it last you need to seal it. With all the various types of caulk and sealing products, it can be overwhelming for a homeowner to know what to buy and how to best apply it. But with TSS Pro Sealants, we will help you choose the sealer that is best for your home. In this article, we will highlight the benefits of having a Slate Sealer. And why TSS Pro Sealants carries the best Slate Sealer on the market. Slate Sealer is one of the strongest flooring materials on the market today. Slate already has strong durability. That makes it resistant to some cracks, scratches, breaks, and chips. But to ensure that it stays durable over time against water or pests. It needs to be sealed with a Slate Sealer to ensure that it stays durable over time. And it is properly sealed with these materials. It can last for decades looking great. Without having to be removed or replaced. As you can see, Slate Sealer is not designed to harm your slate stone. But instead, enhance it and make it more durable to the outside and inside environments. Slate is considered as relatively upscale flooring material nowadays. Because slate flooring as a higher price to install. You do not want to have to replace it. Which is why having a Slate Sealer can be so important. This will ensure that your flooring will last for decades. And you are not having to spend extra money to replace your flooring. Having a sealer will save you time and money in the long run. And many contractors that install flooring will tell you that sealers are necessary for the integrity of your flooring. There is a certain amount of maintenance that is required to keep slate flooring looking good. And to keep your flooring look good all the time so that their little to no maintenance. You will need a Slate Sealer to clog the tiny pores in the stone. And then a surface layer to ensure that the actual stone is protected against water, cracks, and chips. 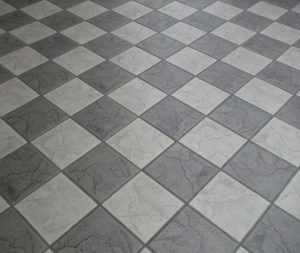 If you have a sealant then maintaining your flooring is easy. All you have to do is mop periodically inside. There is nothing special that you need to do. Or put on the stone constantly. When you are looking for the best Slate Sealer. Then you are needing to call TSS Pro Sealants. Because at TSS Pro Sealants we have developed our own sealant over 18 years. Using formulas that we know work, offering protection for years. We’ve painstakingly scraped and chemically removed more poor quality acrylic sealants. Which is why we started making our own brand in the first place. It just made good business sense. Because how could we offer a warranty for sealing services using a product we know would not last? Our sealants are the best on the market to make sure that your slate flooring lasts for decades. Give us a call today at 888-958-0556. To speak to our friendly specialist and how we can help you with all your Slate Sealer needs.